Medallion App found at MedallionApp.co claims that it is founded by James Simon, billionaire founder of Renaissance Technologies LLC. Is it true? More importantly, is Medallion App a scam? Let’s find out the truth in our Medallion App review. Is Medallion App really risk free? Unfortunately no. It’s all about taking big risks. Medallion App scam (yes, it is a scam) is an automated binary trading software disguised as a miracle app developed by the renowned billionaire, James Simon. James Harris Simon founded Renaissance Technologies Company in year 1983. It is an investment company focusing on hedge-fund investments for its clients. And it does have a fund called Medallion, which was the most profitable fund for the company. The above are all true. However, what is not true is that Medallion fund doesn’t have an app called the Medallion App, nor is Medallion App produced by James Simon and Renaissance Technologies LLC. Stay vigilant and don’t provide any information to MedallionApp.co, as it a scam of unknown origin, and it doesn’t have any connection to James Simon and his company. 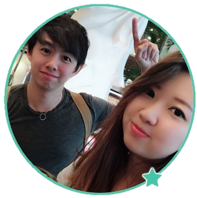 if you scroll down a little bit on the homepage of Medallion App scam, you will see the testimonials and trading results of a few “members” of who are using the app. All of them reported a respectable amount of profit. Just by doing a simple reverse search on Rick Cordany, one of the members featured in Medallion App sales page, we easily found the origin of the photograph. It is just a stock photo that anyone can grab from shutterstock.com. Apparently, Rick Cordany doesn’t exist, and he is a fake member fabricated by the Medallion App scam to promote exaggerated and unsubstantiated trading results. Think about it – if there are real members producing these kind of profits, why would Medallion App resort to using a stock photo to represent their member? At the time of this review, the Medallion App scam has only been released for a couple of days. Yet we are already seeing real feedback of several victims, claiming that they have lost all money using the app. What’s more, they are not receiving replies from Medallion App’s support. This alone should be enough to alert you and steer clear of the scam. 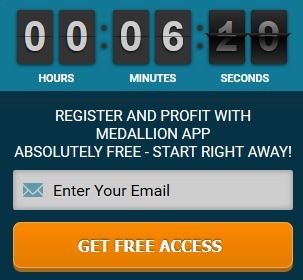 Not only that, apart from generating fake members and results, Medallion App is also using some questionable marketing tactics like many other binary software scams, such as The Millionaire Bot and Online Wealth Markets scams. In the homepage of Medallion App, you can see a countdown timer on the bottom right corner. You have only 10 minutes to provide your email and sign up with the Medallion App. For goodness’s sake, the sales video alone is more than 10 minutes long. And you have to sign up even before the video ends? Why the rush? There’s actually no reason to rush you through. The countdown timer is there to create an illusion of scarcity and limited time offer. By placing a countdown timer, it will force a few more impulse sign ups. How to know if the countdown timer is fake? It’s simple. You can just refresh the page and the timer will be reset to 10 minutes. Or, you can wait till the time runs out, and find that you can still sign up for Medallion App just fine. It’s just a computer script used to trick its potential victims into action. Next, let’s explore how Medallion App works, and how it scams your hard earned money. To make sure everyone is on the same page, it’s essential for us to explain how binary trading works before we continue with the review. Binary trading is basically trading stripped down to its simplest form. Unlike stocks and Forex investments, in binary options, you only guess if the price of an asset will rise or fall after a short period of time, usually between 30 seconds to minutes. This is how it works – let’s say I think that the price of oil market will rise 30 seconds from now, and I bet $50 on a 30-seconds contract. When the time is up, and the price is indeed higher, I win a certain percentage of what I bet, usually between 60% to 80% ($30 to $40). But if I’m wrong, I lose the entire $50 that I bet. In reality, trading binary options is the same as guessing the outcome of a coin toss. Your odds isn’t better than 50-50. There is no way to predict market movements accurately in such a short period of time. Most binary options trader depend on luck and gut feelings when they make their bets. Even if you manage to achieve a 50% win rate, you’ll still lose money due to the uneven winning vs losing payout of binary options. This is why majority of binary options traders lose money, and why Forbes warned us against gambling with binary options. How does Medallion App come into play? It’s a binary trading robot that trades automatically for you. Instead of losing money by yourself, you are now losing money using an automated app. If you decide to sign up for Medallion App, you’ll need to sign up for a new broker account through their sales page (which is an affiliate link). The scammers behind Medallion App will earn a sum of referral fees once you make your first deposit. Depending on your country and location, you may be assigned to different brokers. But the minimum deposit for most of these brokers is $250. You can’t use Medallion App even if you already have an account with their affiliate binary brokers. You need to register for a brand new broker account with a different email address, because the scammers behind Medallion App scam cannot earn their referral fees if you don’t create an account through their affiliate link. Not only that, Medallion App also makes money off you over the long term. The team behind the Medallion App scam will earn a commission for every trade that their software makes for you, which means they will profit regardless of whether you make or lose money, all by RISKING YOUR ACCOUNT. YES, MEDALLION APP IS A SCAM. 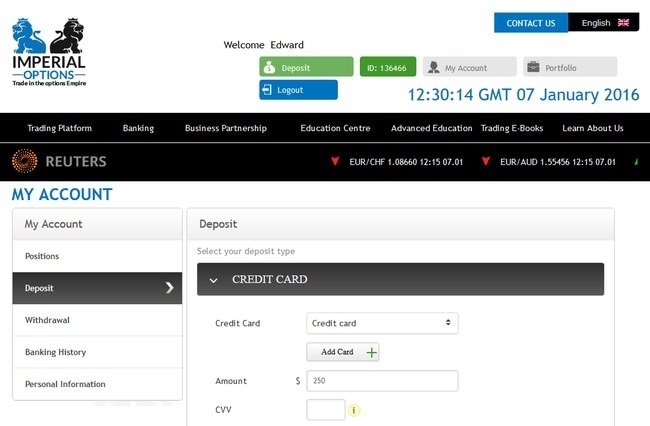 As we’ve said in the review earlier, we don’t recommend binary options trading as a way to make money online, at all. It’s basically the same as gambling, and using an automated trading software doesn’t make a difference. You are essentially putting your hopes and entire investment in a piece of software that gambles on your behalf.